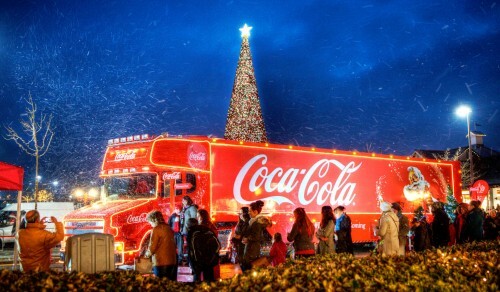 A Coca-Cola delivery truck decorated for Christmas in Cheshire Oaks, England. Credit: Special thanks to Maximus_W for making the photograph used for this jigsaw puzzle available through the Creative Commons Attribution license. Visit Maximus_W's Flickr photostream. See all jigsaw puzzles based on Maximus_W's photographs.